During cocktail hour and the reception, every guest was boasting about how memorable Katie and Ethan's wedding would be, which is so true.. and not just for the reason that seemed obvious that day. The weather on Sunday was really difficult to predict with showers occasionally coming in between lengths of calm clouds. 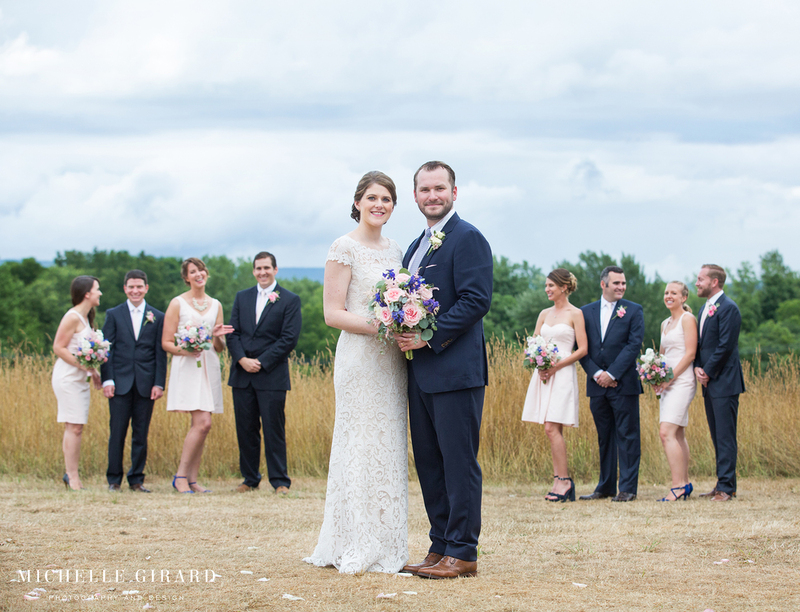 The weather seemed to be cooperating, so when the deadline came for a decision, Katie and Ethan opted to have their ceremony outside atop the hill under the big oak tree at the the Red Barn. It's such a gorgeous spot! Part way through the ceremony, as a friend finished a touching reading, it started to lightly sprinkle. Umbrellas were passed around and popped opened. The rain wasn't much, completely manageable. Then, just as these two finished up their vows, the rain started to increase until it was actually pouring. Everything stopped. Ethan called out for everyone to make their way inside where they'd finish the ceremony. There were huge smiles and laughs as people hurried to the barn huddled underneath umbrellas and jackets overhead. Katie and Ethan waited with their wedding party for the golf cart to come and help grandpa and a couple of guests back down before making their way back to the barn together. 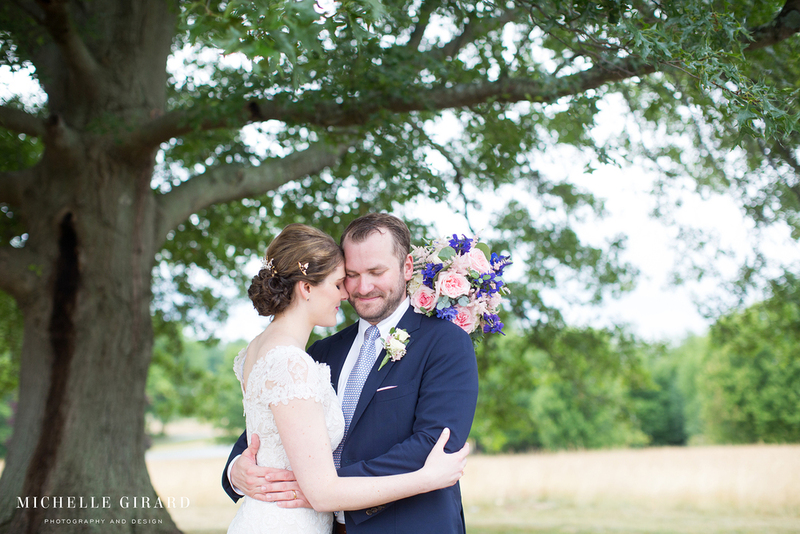 After a few moments to shake it off and get the instrumentalists into place, Katie and Ethan finalized their vows by exchanging rings and kissed as everyone cheered! It was such an energized, fun, beautiful moment! Everyone there was so excited for these two and for this great story they would all get to tell for years and for generations. How many couples get two ceremony locations in one day? The rain was definitely memorable. So were people's expressions when it turned from a sprinkle to a pour. What stuck with me though was how these two waited in the rain until every guest was able to make their way down to the barn. How they handled the whole thing. This change of plans didn't take anything away from the joy of that moment. 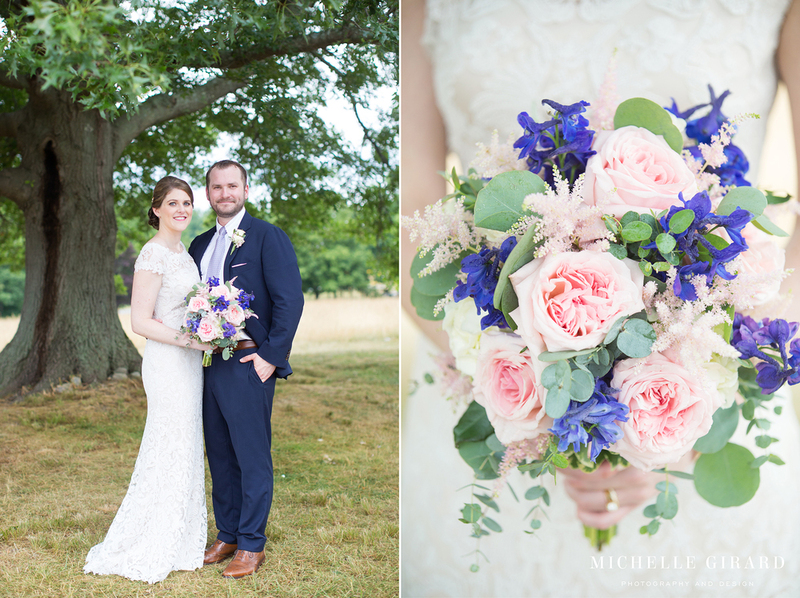 It was their first challenge to handle together, as husband and wife, and I'd say it symbolizes how they'll handle everything together.. with love, practicality, a sense of humor, care for those around them, and grace. I was and still am impressed. 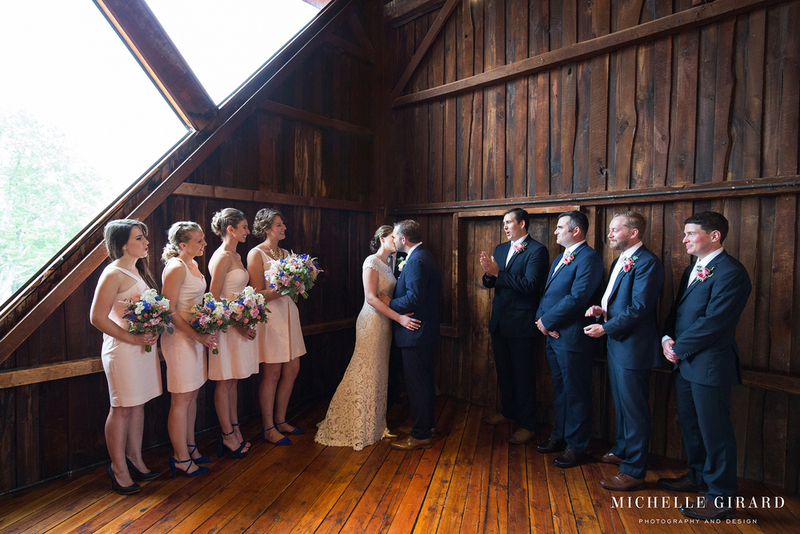 Wedding Ceremony and Reception at the Red Barn at Hampshire College in Amherst, Mass.